Airbus may be embracing the idea of creating an A330NEO offering for customers and it would appear to have some acceptance from some customers. To date, Airbus’ official approach has been to discount the A330 and show it as a cost conscious solution for airlines when balanced against the Boeing 787 offerings. While airlines such as Delta seem to embrace the idea, one wonders if the investment in an re-engined widebody really is wise at this point. Airbus doesn’t have the answer to the 787 and it appears the A350-800 won’t be a future answer either. A lower cost development of an A330NEO would appear to offering something that slots in between the A321 and the A350. I honestly do not think so. The 787 clearly was the right size in the -8 variant as many, many airlines adopted this aircraft right from the beginning. The -9 variant is similarly widely accepted. Those two, together, are what Airbus has to compete against with the A330 or an A330NEO. In some missions, it may do OK but it won’t be the long term answer that an investment in a widebody asks for. It would be foolish for Delta to drive a multi-billion dollar investment in an aircraft that Boeing has a better and just as tested answer for when such an airplane would be available. It’s become clear that a certain generation of airliners are nearing their end now. The 767/757 is clearly on a rapid decline with passenger airlines and the A330 will begin that decline shortly. It’s not a new airliner and the A350 series should have been slotted to replace it better. Instead, Airbus made the mistake of Bigger is Better. It’s made that mistake twice now. Upgauging its offerings made the -800 less attractive to airlines because of performance, not because it was the wrong size. The truth is that Airbus needed an range that spanned probably 4 aircraft and that’s hard to do. There is no -700 or -1100 and the -800 is a bit heavy for the mission and no one wants it. That leaves Airbus with (2) attractive medium sized widebody aircraft for customers and the A380. Boeing wins. It’s got the right sized aircraft with the right efficiency for a 20+ year investment that ranges the entire sweet spot for widebody aircraft. Even the “older” 777 models in that line-up purportedly “beat” the corresponding A350 models on the “total” package of performance. At worst, they hold their own against the A350 and that’s still pretty good. Airbus needed 2 widebody families. It has one and I think cobbling together a stop-gap measure for one of those in a A330NEO model is unwise. The widebody technologies are here and they are useful now. To not use them in an airliner would be folly, in my opinion. They are maturing every day in the 787-A350-777 developments being done and that means that airlines in general will want those technologies rather than designs that date back to the late 1980′s. I would argue that of the airliners introduced over the past 25 years, the 777 is probably by far the most influential airliner to become available. In the fashion of the “old” Boeing, it was made in a variety of styles to meet a variety of needs and just has kept on selling and selling throughout the years. Even today, Airbus doesn’t have the best competitor possible for this aircraft. There are some people who’ve shunned this aircraft over the years and, in my opinion, paid the price for it. It was noticeable that Lufthansa, amid its order for a large batch of A320 aircraft, ordered (6) 777-300ER aircraft for its SWISS subsidiary. 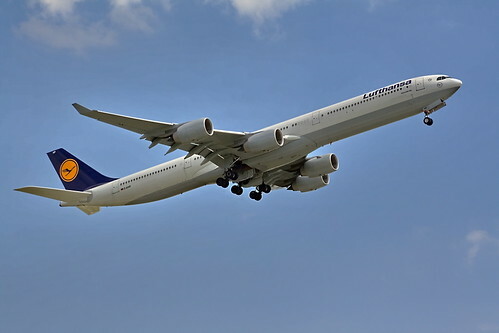 Lufthansa famously stuck with the Airbus A340 and 747 instead of incorporating the 777 into its fleet. QANTAS has also studiously ignored the 777 despite market conditions changing so dramatically in favor of using the 777 that I now wonder if someone at Airbus has compromising photos of the entire Board of Directors for QANTAS. The 777 is an airliner that would have served QANTAS extremely well domestically, regionally and in long haul guise. The 777 could have served the high frequency, relatively short haul routes between Melbourne, Sydney and Brisbane as well as some routes across to Perth and New Zealand. The original 777-200 “domestic” co8uld have served all these routes in a very able manner. The 777-300ER was the answer to needs on the Kangaroo route as well as to northern Asian destinations in China and Japan. Why an airline such as QANTAS would continue to use the 747-400 exclusively when it could have greatly benefited from the 777 is a bit baffling to me. While oil prices weren’t sky high until quite recently, the fuel cost argument for the 777 was really made successfully right from the beginning. Even when fuel was cheap(er) in the 1990s, those who bought the 777 knew they had made the right choice. Now we hear that Boeing is about to give Authorization to Offer the next 777 series aircraft and this means, potentially, that the 777 may well have as long a history in commercial aviation as the 747 with far greater numbers sold. Any airline who ignores the very real capability of this airliner does so at its own peril. Long haul routes will be based more and more on frequency in most cases and more on “point to point” arguments going forward. With just a few exceptions, they will not be based upon the traditional hub-and-spoke model and certainly not based on trunk routes using the largest aircraft possible. Yes, a few A380/747 routes will remain out there and that’s right and appropriate. But the world will belong to airlines who have the ability to fly routes such as Dallas-Sydney or Houston-Johannesburg or Denver-Hong Kong with the lowest costs. The lowest costs will come from the next generation of airliners such as the 787, A350 and 777-X. With the combination of new technologies for the fuselage, composite wings that are likely a bit larger and a lower fuel consumption, these new aircraft would definitely be A350 beaters in every category. The current 777 lineup performs well against the performance definitions for the A350-900 and based on comments from A350-1000 customers, the 777-300ER probably isn’t equaled on long haul routes. A revised 777 that upgrades the -200LR with more seats and as much range, capacity and cargo capacity would clearly be of interest to many airlines. A -300ER that also increases its capacity with equal or better range would also be of great interest to many. Boeing has rightly identified that its the -300ER that is likely the sweet spot in size (or a little larger) for most airlines requiring a high capacity/long range airliners for routes. The A380 will be around for a long time. It won’t be a big seller over the next decade and will only ever be a success if there is enough growth on long haul trunk routes to require that aircraft. The 747-8i remains an interim solution from Boeing and it still hasn’t garnered much interest from airines. In fact, many airlines have downsized from the 747-400 in favor of the 777-300ER. Trunk routes will remain but there will be fewer of real importance and requiring a VLA. The 787, A350 and 777 all permit airlines to fly more point to point routes and earn profits. Ultra long haul flights are likely to remain more in the style of “long and thin” than “long and fat”. After all, just how many people are likely to fly from Houston to Auckland, New Zealand even with network feed? Answer: Not enough to require a 777 or 747 for quite some time. I do think Boeing has the right idea in offering a revised 777 instead of an all new design in this category. The 777 still incorporates some fairly cutting edge technology and with a revised composite wing alone could probably continue as a category winner. I got asked what I thought of the A340 last week by a reader of FlyingColors and decided to give some thought to that subject and write a post. 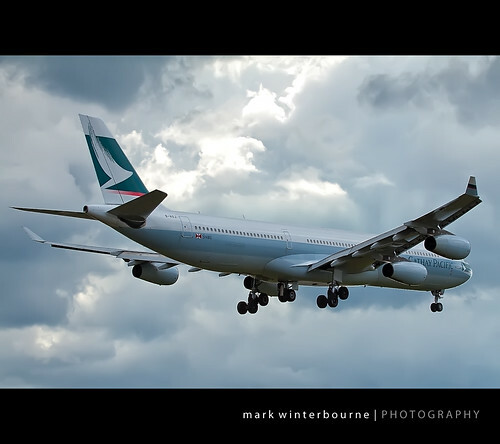 The truth is, the A340 was probably the first Airbus aircraft that I really liked visually. I liked the slender appearance of the widebody fuselage and I liked the four engines and how they were hung on the wing in a proportion that just seemed a bit sexier than other 4 engine aircraft. I liked Airbus’ approach to the A340/A330, too. I’ve always been fond of the parts bin approach to creating value for a customer and the A330/A340 development was certainly that. A fuselage that got borrowed from its first twin-aisle aircraft and CFM engines that were derived from the A320 aircraft. Need a medium range hauler? Use our A330. Need a long range widebody? 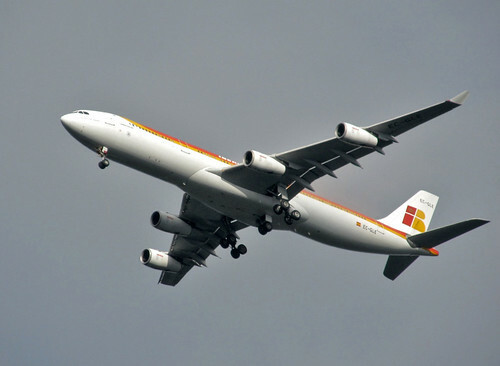 Try our A340. Going trans-Atlantic? Use our A330 and if you’ve got trans-Pacific routes, we have this lovely 4 engine aircraft for you. And you got to have pilots that could fly both. It was a beautiful approach and a real answer to what was needed at the time. It was way better than McDonnell Douglas’s offering in the MD-11 and Boeing really didn’t have an aircraft that even fit the needs at all. ETOPS was changing the game at the same time, however. So was engine development. The MD-11 was a bit flawed in that it really needed a truly new wing and better engines to achieve its mission. But the ever frugal derivative player, McDonnell Douglas, played things just a bit too frugal. The 747 was simply a different class of aircraft. The 767 was too small and too short ranged to fit the gap. Airbus did a great job with those aircraft in offering a sweet spot solution for both capacity and range and then made a strong business case for both of them by making them as common as possible. You cannot blame any airline who went that route. It was, in the context of the times, the perfect solution. What we didn’t really count on was engine manufacturers being willing to truly make game changer engines and ETOPS going far past anything anyone could envision. The 777 was born and it was an even bigger game changer. First an aircraft that solved the A330 problem just a little bit better. Not fantastically better but it offered just a touch more capacity and bit more cargo capacity and it did it with engines that were more revolution than evolution. The A330 has survived because of its improved derivatives and any airline using them makes great money. The A340 got hampered by a few things. It needed a bit better wing and better engines (and finally got both in the A340-500/600). The CFM engines were a great choice going in but the Rolls Royce Trents were the answer to a question that got asked a bit too late. Airbus bet on 4 engines being preferred for long haul, trans-oceanic routes and given the dominance of the 747 in that market, it wasn’t a bad bet. Their mistake was in underestimating Boeing’s ability to look forward. Boeing saw the possibilities in ETOPS and extra high by-pass engines that were more reliable than anyone could have conceived of a generation earlier. And it should have given its customer base at the time. Airbus was hampered by a bit of McD disease and by multi-government ownership at the time. It didn’t have enough capital to go “all in” on designs and knew it had to make its business case on flexibility which meant derivatives. In fact, it often only got capital for new investment if that investment benefitted its owners in the form of jobs programs for their citizens. While thinking about this post, it occured to me that Airbus even produced a 747-SP. The A340-500 derivative. It could fly fantastic distances but without enough passengers to make it cost effective. Then the 777-200LR came along and was capable of doing *that* mission better and cheaper. The 777-200ER and 777-300ER killed the A340 in all forms (And EADS CFO just admitted it in the press). It could haul more passengers and cargo for the same or longer distances for less money. It was that simple. Boeing made the business case on trip costs and won. Even if hindsight is 20/20, you can’t say that Airbus made a mistake with the A340. The A340 killed the MD-11 and exposed the weaknesses of owning 747s. It did its job very well but it arrived just a little bit too late to enjoy its success for very long. Timing is everything. I would criticize Airbus for the A380. Yes, it has made a few airlines some good money. It also ignores the model(s) for long haul travel over the broad spectrum in favor of trunk routes. It will never enjoy the numbers or prevalence of the 747. On the other hand, neither will the 747-8i. I’m not sure the A350 is the answer either. I don’t think it fits long, thin routes as well as the 787 and its planned derivatives. I don’t think it fits the long, large capacity routes quite as well as the 777 either. Its smallest derivative is an A330 replacement at best and I question whether or not it will ever get built. Its largest derivative so far doesn’t respond to the 777-300 as a game changer either. They are free to prove me wrong. It’s not that I think the A350 won’t sell. It will. But I think it’s destined to be a player among a fairly small core group of airlines. Much as the A380 is and will be. Boeing took a page from the Airbus playbook and built the 787 to fit a nice, broad piece of medium and long haul routes and positioned itself to answer the largest A350 with a next gen 777 or next gen new build large capacity, widebody aircraft. Boeing one ups Airbus over the next 20 years with its product line up and does it in a way that has the gaps covered in distance, capacity and service. Now that Boeing is on the home stretch in defining what it will do to provide the 737 MAX line, we should expect to see some movement towards improving the existing 777 line. This will start to take place at Boeing outside our view but let’s take a look at the drivers. First, engines are going to be a factor. The GE90 is relatively new but let’s not forget that it fits in between 1st generation high bypass engines and the latest high bypass engines. There is already talk that Boeing wants the GENx engine uprated from 100K to 110K thrust. That’s a smart sweet spot and it will gain a percentage point or two in fuel efficiency but that only works if other things are done. Weight reduction while maintaining seat and load capacity will be a driver. I think we’ll see all parts of the aircraft examined for weight savings and through use of carbon fibre technologies. One of the obvious places, in my opinion, is in creating a new wing. A new wing capable of carrying more load more efficienty and made from newer, lighter technologies helps a lot here. The fuselage will likely remain the same in construction. However, I think we may well see stretches occur. I think we’ll see a slight stretch to the 777-300ER and a marginally bigger stretch to the 777-200LR. The gap between the two will narrow slightly but both will carry more passengers. I think the -300 will be limited in some respects by the fact that it is already a very long aircraft and they won’t want to make it much longer for fear that it will won’t fit within airline operations at many airports. Whatever Airbus does to define the A350-1000 will be the driver for what Boeing chooses to do with the 777. However, Boeing has to time their upgrades to be available at roughly the same time that the A350-1000 will enter into service. There could be an entry into service as much as 1.5 years later but not much past that. That will limit, in some respects, the kinds of re-engineering Boeing can afford to do on the 777. When do we hear about it? Not before fall 2012, I think. Perhaps even later than that. Right now, Boeing will likely conduct internal trade studies in all areas of the aircraft and try to be ready to pick a direction on or about the time we really know the definition of the A350-1000. What happens with the 777? Airbus has announced its plans for the A350-1000 and airlines have responded with yawns or, in the case of one airline, a bit of outrage. Airbus can still change their minds about the final definition of this airliner but not without more delay or a commitment from an engine maker that would be pretty unrealistic. So we know what the A350-1000 will look like, more or less. And what is Boeing’s best response? I’m not sure the timing is right for an all new widebody large capacity airliners to sit just above the 777-200ER to just below the 747-8i. But I do think the timing is right to greatly improve the 777. Imagine the pain Airbus feels with a 777 update that provides a better wing constructed of composites, a fuselage that is slightly lighter due to some composite use and engines that are bit more fuel efficient as a function of incorporating GEnx engine technology. What if Boeing can offer a 777-250/777-350 that offers more seats, 500 to 1000nm range improvement and/or a slight upgrade in payload capacity? That little squeak you heard is Airbus salesmen contemplating that scenario. I can see a strong business case for such aircraft and I think you would hear a lot of airlines bark out loud “sold!” if it was announced. Does it get announced this year? No. Boeing has got to figure out the 737 replacement family, finalize the 787-9 production, get the 787-10 kicked off and then contemplate the 777′s future. I wouldn’t expect anything developing on the 777 until 2014. But it’s fun to think about the possibilities. French parliamentarians went a bit crazy and became furious with Air France’s decision to accept bids from both Boeing and Airbus for 100 mid-sized widebody jets. Boeing’s 787 and Airbus’ A350 are in the running and Air France officials have said that it is likely to be a split purchase. France continues to own a stake in Air France and is also one of two major stakeholders in Airbus. I find this ironic since Air France has found it very economical to use Boeing’s 777-200/300 aircraft and owns 60 at present. The 787 fits nicely into their plans since the transition from a 777 to a 787 is short and easily accomplished. The transition from an A340/330 aircraft to the A350 is sure to be similarly easy. Politics in the airline world inside France is always nationalistic but this move is just a bit too overt for our taste. Airbus has committed itself to the A320NEO series recently and Boeing continues to decide to not decide on what it will do with the 737. All the while hinting at a new aircraft development for a 737 replacement to enter into service around 2019/2020. Except that Boeing has also hinted from time to time that a re-engine might be in order while also saying that customers don’t want a re-engine. In addition, Airbus will be releasing its configuration for the A350-1000 aka 777 killer in the next few weeks. Boeing doesn’t believe it quite meets the mark without a new wing and Airbus has said nothing about a new wing. Right now, on paper, the 777-300ER still beats the A350-1000. Unless Airbus releases a configuration that causes people to pause and gasp, Boeing will most likely not feel too threatened by Airbus for the time being. And that’s why I say watch Airbus to see what Boeing does. Boeing knows it can probably win against Airbus with a 737 replacement in the time frame it is talking about while managing to keep customers interested in the current 737 through incremental improvements that should keep the two aircraft competitive. I’ve felt that Boeing wants to know what Airbus’ move is on the A350-1000 so it knows where to commit its resources. If the configuration and definition for the A350-1000 moves it into competitive territory with the 777, Boeing knows it needs to get to work on improving the 777 (an exceptional moneymaker for Boeing presently) in order to not lose those customers for the next 2 decades. Boeing likely believes it can cover the 777-200ER territory with a 787-10 (and perhaps an incremental improvement to the -10 as an ER model later). This leaves it free to preserve the 777-300 in its current configuration or find improvements to the existing design or even design a new aircraft family to fit above 787-10 and finish alongside the 747-8i. But what Boeing doesn’t want to do is commit to launching 2 new airplane programs simultaneously. Boeing already knows what will likely happen if it does that. With all of that into consideration, I think that once we know the firm definition for the A350-1000, Boeing will know how to sequence its next airplane programs. It will be either a 737RS first with a 777 replacement kicked off 3 to 4 years later or a 777 replacement first with a 737 re-engine done simulataneously and a 737 replacement coming 10 to 12 years after the re-engine. I strongly believe that Boeing wants to do the former sequence (737 replacement / 777 replacement) because it puts Airbus into a corner. With this strategy, Boeing probably has an all new line of aircraft using the latest technology spanning from 150 seats to 450 seats while Airbus has the A320NEO and A350 series but with a gap between the A320NEO and A350 being filled by what will be quite the aging aircraft: the A330. In fact, there already is a gap, although minor, between the A320 series and the A330 series. And make no mistake: The A330 will begin to die in another 2 years or so as a result of the A350 and 787 developments. My prediction? I think Airbus will announce nothing that threatens Boeing’s competitiveness in the 777 models. Sometime late in the fall or early in the winter while riding on an uptick with the deliveries of the 787 and 747-8i to customers, Boeing will announce a 737 replacement program with a big airline order. Sometime around 2017 or 2018, we’ll see Boeing announce a replacement for the 777 sized above the 787-10 and right up alongside the 747-8i. Last week, Delta announced that it had agreed to buy 9 Boeing (McDonnell Douglas) MD-90 aircraft from JAL. After these aircraft are refurbished, they’ll start entering Delta’s fleet next January. Delta’s President, Ed Bastian, refers to these aircraft as “capital efficient” for Delta and it does simply add to Delta’s existing fleet of 19 aircraft. In fact, Delta now plans to add a total of 39 MD-90 aircraft going forward. These will primarily replace aging and inefficient DC-9-50 aircraft. Delta has so far pursued a strategy of making do with what it has and employing older aircraft longer and this is somewhat in conflict with most other airlines’ strategies. As fuel has climbed in price over the past 4 years, airlines have, if anything, accelerated their purchases of newer, more efficient aircraft. Is this the right strategy for Delta? Well, as an interim strategy, it works. These aircraft are good for a variety of routes that can largely transit 3 timezones out of 4 in the continental United States. There are a finite number of them available (only a bit over 100 were ever built) and in the near future I suspect that many won’t be worth buying when considered against a new Boeing or Airbus aircraft. From a financial standpoint, these are good buys for Delta and should work for them well over the next 4 to 8 years. Delta’s fleet is pretty varied since its merger with Northwest Airlines a few years ago and while they have made an excellent show of managing this fleet, there are a number of types that could be pared down over time. Reducing the number of fleet types would allow Delta to be even more flexible with its crew resources and more cost efficient when it comes to maintenance needs. Remember that every fleet type requires an inventory of parts and employees trained to service that fleet type. This doesn’t mean that I advocate that Delta buy Boeing only or any other manufacturer exclusively either. With its fleet size, it could quite rationally settle on both the Airbus A320 and Boeing 737 aircraft and operate them simultaneously. The same is true for long haul aircraft. It could probably employ both Embraer and Bombardier regional jets as well. However, for each category (regional jets / single aisle / medium to long haul aircraft), there should be at most two basic fleet types. In fact, by working with multiple manufacturers, it can speed deliveries, fit the most perfect aircraft to a variety of routes and maintain efficiencies in maintenance and repair at the same time. What I don’t see happening is Delta operating Boeing and Bombardier CSeries as mainline aircraft. I think Delta will play it smart and use the manufacturers that have proven products in each category. I think that over time, we’ll see Delta order Airbus A320NEO aircraft to replace existing aging Airbus A320s. I think we’ll see an order for Boeing 737 replacement when and if Boeing offers a replacement officially. I think we’ll see Bombardier CRJ900/1000 aircraft come online to replace older CRJ700/900 aircraft and I think we may well see Embraer E170/190 jets for other areas of the country such as shuttle-like operations. In the long haul category, it’s not inconceivable to see 787 orders pulled forward again but for a mix of both 787-8 and -9 aircraft. I think we’ll see them pick either Airbus A350s or 777s for their larger trunk and long haul routes. I might give the 777 an advantage here to become a single type for that category as Delta could very efficiently operate both 777-200LRs and 777-300ERs in a nice mix. They’ve already got very new 777-200LRs (and ERs) that are using the same GE engines the -300ER would use. I’m not sure the Airbus A350 quite fits in as well as one would like it to when it comes to the trunk route / long haul category. I do believe firmly that the 747s will ultimately go away and not be replaced. Look for Delta to be making more and more announcements about its fleet over the next 2 years. I believe its strategy will be incremental rather than huge orders for a particular family of aircraft and it will be done with strong emphasis on preserving its capital going forward into the next few years. It has been reported loudly that Delta is poised to issue an RFP (request for proposal) for as many as 200 jets and this is an order no manufacturer wants to lose. The rumour comes just days after a record breaking Airbus order from IndiGo of India. At this point, it’s still rumour but this one strikes me as pretty much dead on. Delta has a huge fleet (720 aircraft with about 40 orders in place which include the deferred NWA order for the 787) and quite a few of those aircraft need to be replaced now or in the immediate future. Delta has the Northwest fleet comprised of the very old DC-9-5o, MD-88, MD-90, 757, 747 and some older Airbus equipment. The Boeing fleet from Delta’s legacy side isn’t quite as old but there are some 757s and 767s in need of replacement as well. Considering the widely varying fleet, it would come as no surprise that an replacement order is due. Oil prices and future fuel prices will also drive the need for this order sooner than later if Delta’s goal of a consistent operating profit is to be realized. Pundits think this is Boeing’s to lose and I disagree. Richard Anderson, CEO of Delta, has much more history with Northwest and he is no Airbus hater. This will be an extremely heated competition and I will say that if Boeing were to lose this order or a significant portion of it, that will sting Boeing and its product line for years to come. The prime driver for selection is going to be based on a number of items. First and foremost, trip costs for aircraft to serve a particular grouping of routes. We’ll see orders for single aisle aircraft to serve what I would call non-transcontinental routes. In today’s world, that would be the Airbus A319 and Boeing 737-700. Having trans-continental capability in the aircraft would be a plus but these aircraft are going to serve the focus cities of the airline with routes stretching out from the cities but not across the country. The mission that the MD-88s, MD-90s, Airbus A319s and Boeing 737-700/800s are serving today. The A319s are brand new and so are the Boeing 737-700s/800s. This is going to be about replacing the McDonnell Douglas fleet. Then there is a need for the larger trans-continental capable aircraft that remain single aisle serving longer trunk routes that won’t justify a widebody. Currently, the Airbus A320 and Boeing 757 are serving those routes. The A320′s arrived in early 1990′s and the 757s date from the early 1980s to the late 1980s. The options for replacement here are the Airbus A320/321 and the Boeing 737-800 and 737-900ER. Neither aircraft actually “replaces” a 757 which has great range and great payload. I don’t think the A320s are going anywhere yet so this will probably involve a 757 replacement and they (Delta) may or may not want it to harmonize with their existing A320s. Then there are the 767s. Some are getting old and some are quite new still. Delta needs an aircraft stretching between what a 757-300 offers and an A330-300 offers. The 787 fits this and the fact that Delta has deferred its legacy NWA order for these makes me think that these aircraft won’t be candidates for replacement. The 747s are pretty old and frankly I don’t think these we very well cared for either. They need to be replaced and I do think we’ll see orders to do this on these aircraft. None really serve routes that demand 4 engines so I think we’ll see a replacement oriented around 2 engines. I think it’s anyone’s guess on the single aisle orders. Airbus will fight like crazy to win this order with their A320NEO options and Boeing may well have to announce a 737 replacement at a great price to win it back. Boeing should actually have great incentive to get going on the 737 replacement if Delta is truly interested. With Delta, Southwest and, potentially, Ryanair all wanting a better 737, there is an exceptionally strong business case to get going on this. If Boeing doesn’t offer a better 737 in this, I think the order goes to Airbus. As for the 757/767 replacements . . . well, I’d give the edge to Boeing. I think the 787 *is* a good answer for these aircraft. They offer the right amount of extra capacity for growth, long haul capability, extremely high efficiency and flexibility. I do think it possible that an order might be mixed between the A330 and 787 unless Boeing gets off its duff and gets that 787-9 into production. The 787-9 is the A330 killer. Since I don’t think the A330s are going anywhere, I don’t see much opp0rtunity for Airbus’ A350 in this mix. It’s deliveries are too far off and the A330s just don’t need to be replaced for a long time. I think Delta’s large widebody strategy is likely going to be a mix of 777-200s and the 777-300ER to replace the 747s. They already have a fleet of 777-200LR with GE engines so I think they’ll order 777-300ERs with GE engines to replace those 747s. It will do everything the 747 will do only more efficiently. I do *not* think the 747-8i will enter into this order. Delta doesn’t need the capacity and the 777-300ER will serve all the routes the 747 is currently serving with no problem. The A350-1000 is far too far off and its ability to perform is simply way too unknown for this to be serious contender at Delta. I do not think that Bombardier or Embraer will enter into this order at all. They just don’t have a product that meets the needs of an airline like Delta very well at all. Don’t expect an order announcement for about a year. Delta will let the manufacturers fight it out with best and final offers for quite some time and it will take time itself to do a detailed analysis. But I can’t wait to hear their decision. United Airlines CEO Jeff Smisek says that there are too many seats chasing passengers on routes between the United States and Australia presently. United has had a presence for over 25 years on those routes and its staying power comes from its corporate contracts and loyalty program but it is being challenged presently by lower fares from new entrants on those routes (Delta and V Australia) as well by the fact that its 747 aircraft have a less attractive IFE solution than others. One of the great ironies for long haul routes such as these is that they have, for the last 40 years, been largely dominated by large widebody aircraft. Most commonly, the 747. Filling those aircraft day in and day out is a challenge and one reason why really only two airlines have traditionally succeeded on those routes. New entrants or weak players usually leave the market because there really are too many seats chasing too few passengers, particularly in hard times. Right now, QANTAS and United have 747s and A380s on that route. Delta is using a 777-200LR and V Australia has 777-300s working the route. Delta is probably right sized but they’ll have to remain committed to the market as a long term investment in order to succeed. I understand why they want to cooperate with V Australia and I’m not sure that’s a bad thing for either airline but it appears that is going to take some time to work out. United and QANTAS both are the dominant players but I wonder if they’ll remain so over the long term if Delta and V Australia hold their ground. It’s anybody’s guess. It does occur to me that we are about to see aircraft that would allow new entrants to make money on that route and, at the same time, be right sized for the route. That would be the 787 and A350 aircraft. If those two aircraft permit the same profit margins that the larger aircraft offer, not only will those new entrants stick around but we might see more. Delta isn’t going to have the 787 for 10 years or more. United will have some and QANTAS should receive some too. Right now, the most practical approach is for airlines to depart the west coast of the United States using large widebody long haul aircraft. What if United was able to start flying from the interior of the United States using 787s (which they are due to receive relatively soon)? It’s doable and it might be practical. This is another great example of why larger and bigger isn’t always better. The 787 and A350 are going to offer possibilities for long, thinner routes that will ultimately fracture those large capacity trunk routes flown by the 747 and A380 right now.